Discover Brisbane from a different perspective. 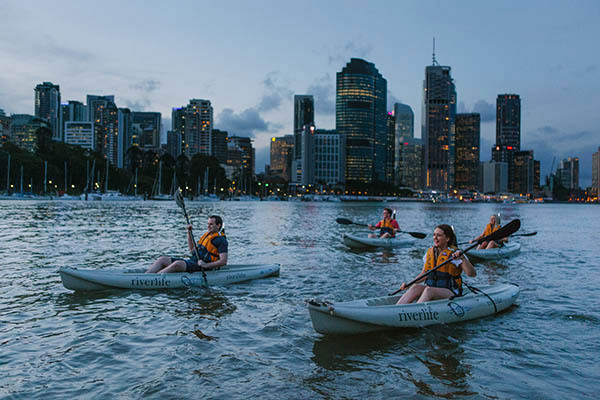 Enjoy a relaxing 90minute illuminated kayak journey on the iconic Brisbane River with your friends or family. 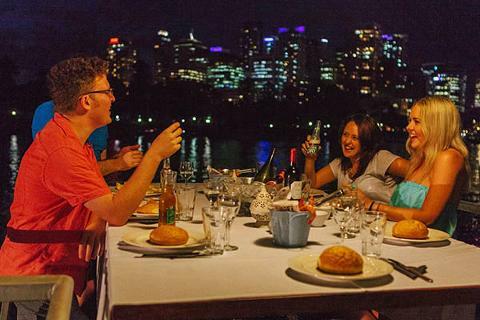 Take in the sensational city and river views while gliding under Brisbane’s inner city bridges and cutting through the luminous reflections of the city on the water. When you return to shore, you’ll be met with buckets of fresh, ocean king prawns, bread rolls and an assortment of chilled beer, wine and soft drinks, served under one of our riverside marquees. 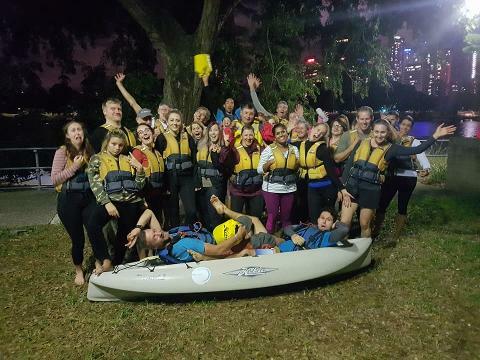 Riverlife’s kayaking adventures are guided by qualified and experienced instructors. No experience is necessary as each session includes full instruction, a safety briefing and all equipment including a PFD. Participants must be at least 12 years of age for night kayaking. Bookings essential.